You know how satisfying a solid drive can be. There’s the clean “thwack” of the club making contact. The spin of the ball. The feel of solid impact. You have to hit the ball in the center of your clubface. Of course, if you’ve been golfing any amount of time, you know centering the golf ball is easier said than done. And if you’re new to golf, you may have a difficult time judging your contact simply by the feel of it. The best way to evaluate and improve your contact is by actually knowing your smash factor. I will explain exactly how to use smash factor to make sure you’re hitting the ball in the center of the clubface. But first, let me clarify exactly what “smash factor” is. So why do we care about this calculation? The other factor is the amount of energy transferred from the clubhead to the golf ball at the moment of impact. This is what we refer to as the “smash factor.” The smash factor tells you if you’re hitting the ball cleanly and in the center of the clubface. Or to look at the big picture: it tells you if you’re making the most of your swing speed. When using a driver, the smash factor to strive for is 1.5. This is the gold standard. How do you know what your smash factor is? And once you know, how do you improve it? It’s easiest to explain by example, so I performed a field test to demonstrate this process. Here’s what happened. As I mentioned, the ideal smash factor on a driver is 1.5. The gold standard is a little lower for an iron, so for the sake of simplicity, I used a driver. In fact, I used my old driver from college. I was just curious how an outdated driver would do compared to the more advanced clubs we use today. This old driver did not let me down. 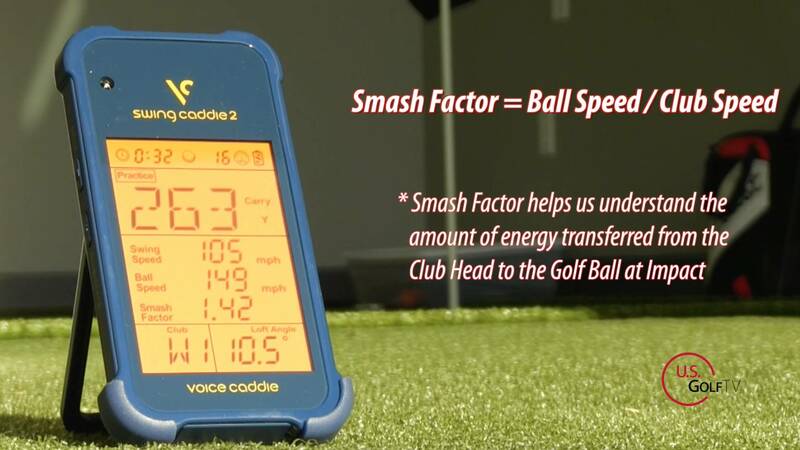 To measure my smash factor, I used Voice Caddie’s portable launch monitor. I use the SC200 model, also known as the Swing Caddie 2. If you’re not familiar with the SC200, let me give you a quick rundown of what it’s for and how it’s used. 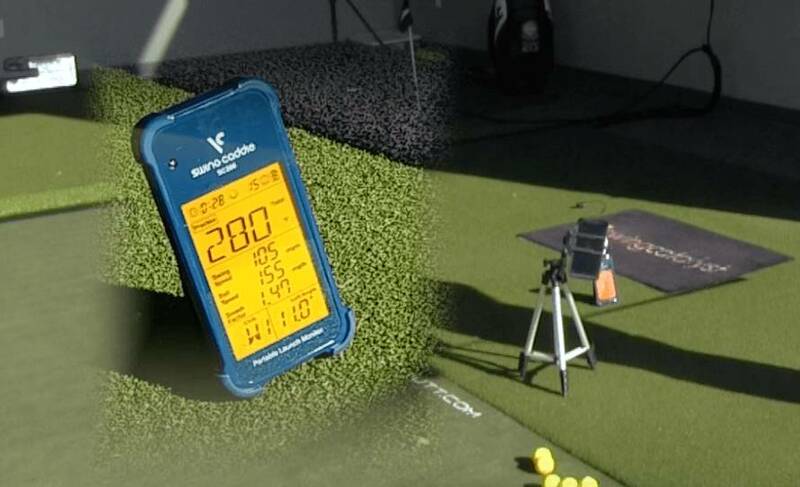 The SC200 is an affordable, portable launch monitor. The device is battery operated and is about the size of your smart phone. To use it, you just have to set it up behind your ball. With each shot, the SC200 tells you vital information about your swing. These stats include your carry distance, swing speed, ball speed, and – of course – your smash factor. 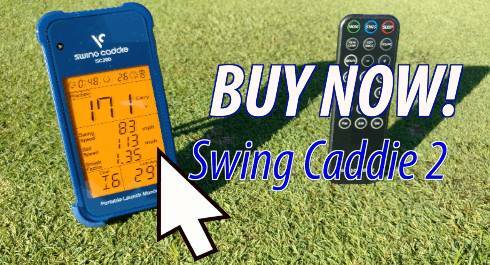 The Swing Caddie uses barometric pressure calibration to provide the most accurate readings possible. In fact, I have actually tested this device against the launch monitor we use at the Todd Kolb Golf Academy. Our unit is the industry standard and costs upwards of $15,000. 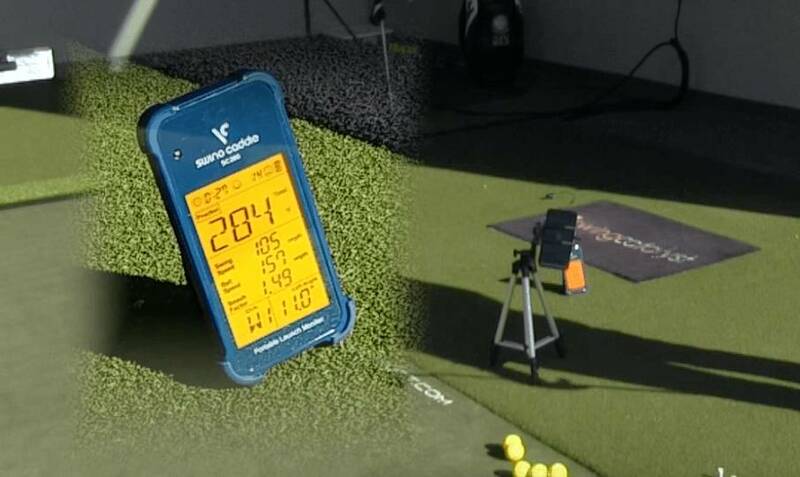 When I tested both launch monitors side-by-side, they gave me near-identical readings. The SC200 has several convenient features, including a remote control and Voice Distance Output. You can program the device according to whichever club you are using and even adjust the loft angle for greater accuracy. The SC200 also has three different modes depending on how you want to focus your practice time. Now, there are many aspects of your game that can be helped by regular use of a launch monitor. In fact, I cover other uses for the SC200 in a handful of other articles and videos. For now, let’s just focus on smash factor. To get started, I set my SC200 up on the ground behind my ball and used the remote to change the club setting for my driver. I took my first shot. It felt solid and a little bit on the toe. This is the first important detail – how the moment of impact felt in my hands. If you haven’t been golfing very long, you may have a difficult time feeling where you hit your ball on the clubface. That’s normal. It also explains why it’s so important to start noticing how each shot feels when you practice with your launch monitor. When the SC200 shows you your smash factor, you can connect that number with the way your shot felt. You will start to recognize how a solid shot feels. As a result, you will have a better shot at reproducing that feeling and smashing the ball consistently. The SC200 confirmed that my smash factor was as good as it felt. Because I hit the sweet spot on my clubface, I was able to turn a 105 mph swing speed into a 157 mph ball speed. This calculates to a smash factor of 1.49, very close to the 1.5 gold standard. My second swing did not feel as solid as the first. In fact, it felt like I hit the ball a little bit on the heel of the clubface. I also noticed that the resulting ball flight was up and to the right – another indication that I had hit this one on the heel. Once again, the SC200 confirmed what I felt. As you can see, the smash factor for this drive was only 1.47. To further illustrate my point, let’s compare these readings to those of my previous drive. You may notice that my swing speed is identical on both shots: 105 mph. However, my smash factor was lower on the second shot. This is because I didn’t hit the ball in the center of the clubface. Rather, I hit it on the heel. As a result, the energy transfer from clubhead to ball was less than it should have been. My ball speed went down by two mph, and I lost four yards on the carry distance. This is a perfect example of how smash factor influences the success of your drive. 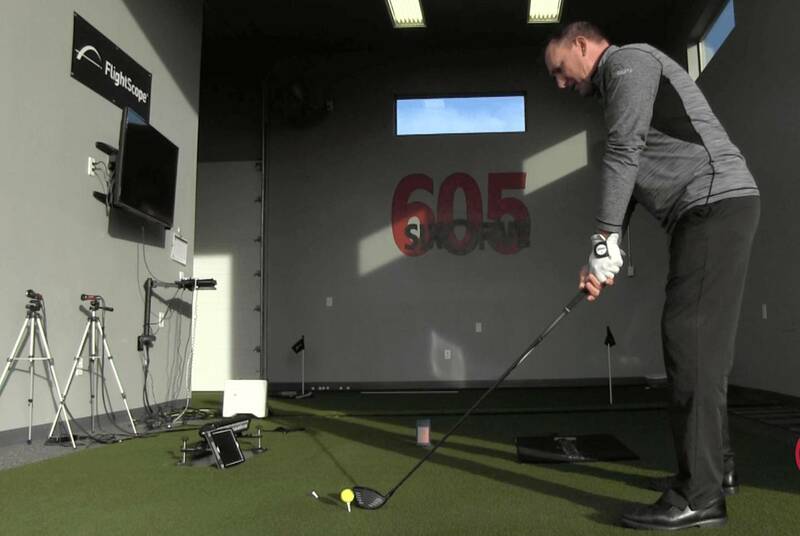 Good clubhead speed means nothing if you can’t send that energy cleanly into the ball. Now, let’s take a look at the third test. Now, let’s compare this to my previous best, Test #1. On both drives, I kept the smash factor up near the gold standard at 1.49. As a result, it helped me maximize the extra energy I packed into my third swing. With a new swing speed of 107 mph and a maintained smash factor of 1.49, I added three mph to my ball speed and three yards to my distance. When you see all your numbers laid out like this, it’s easy to see why it’s so helpful to have a tool like the SC200 on hand. Two of these four stats—swing speed and smash factor—give you vital information about the effort you bring to the swing. Therefore, when you see how fluctuation in those two factors influence the other numbers, you can discover weaknesses in your game. Let’s take a look at all three tests side-by-side. You can see that Test #1 shares an identical swing speed with Test #2 and an identical smash factor with Test #3. 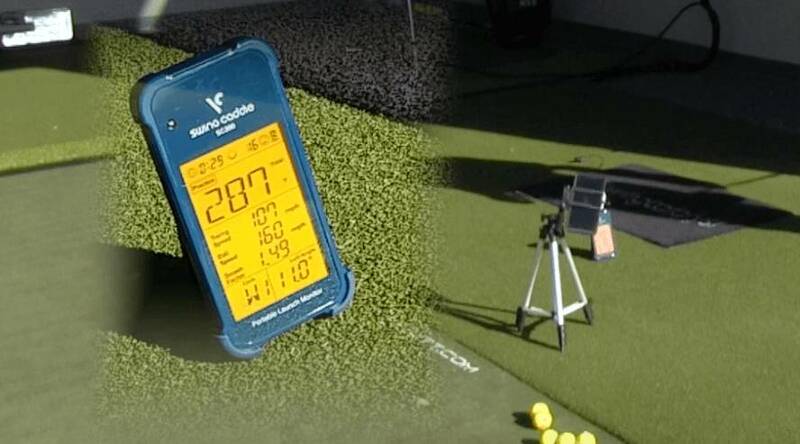 However, there are no identical results… no identical ball speeds or carry distances. As a result, in Test #2 the identical swing speed is undermined by a less-than-perfect smash factor. Consequently, in Test #3 the identical smash factor is able to do quite a bit with the increased swing speed. Therefore, having this information helps you understand where your game might be lacking. Moreover, the beauty of the SC200 is that it gives you these number automatically. In fact, it will be much easier for you to learn what a 1.5 smash factor feels like if you immediately know you’ve achieved one. Smash factor is the key to achieving a long, controlled drive. In fact, the term “Smash Factor” is a calculation between your swing speed and the resulting ball speed. 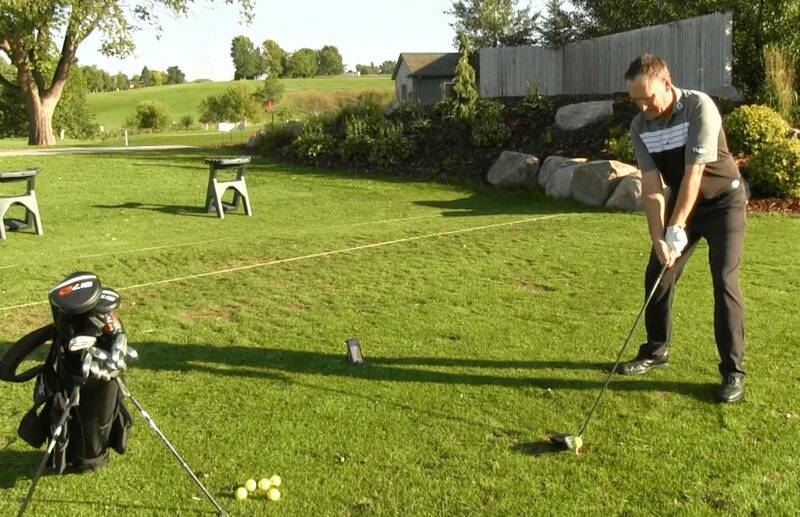 It shows you how well you are transferring energy from the clubhead to the golf ball. A smash factor of 1.5 is ideal for a driver. To smash the ball, you need to hit the ball on the center of the clubface or a little towards the toe. Smash factor is the key to maximizing your speed. It is not enough to hit the ball hard. You also have to hit it correctly. The SC200 is a great, affordable tool to help you track your smash factor and note how its impact on your game. Has this been helpful to you? Do you disagree or have pointers of your own? Share your thoughts in the comment section. If you’re interested in knowing more about the Swing Caddie 2, stay tuned! We have several articles and videos sharing how you can use this tool to sharpen your skills and why we at U.S. Golf TV trust the SC200.